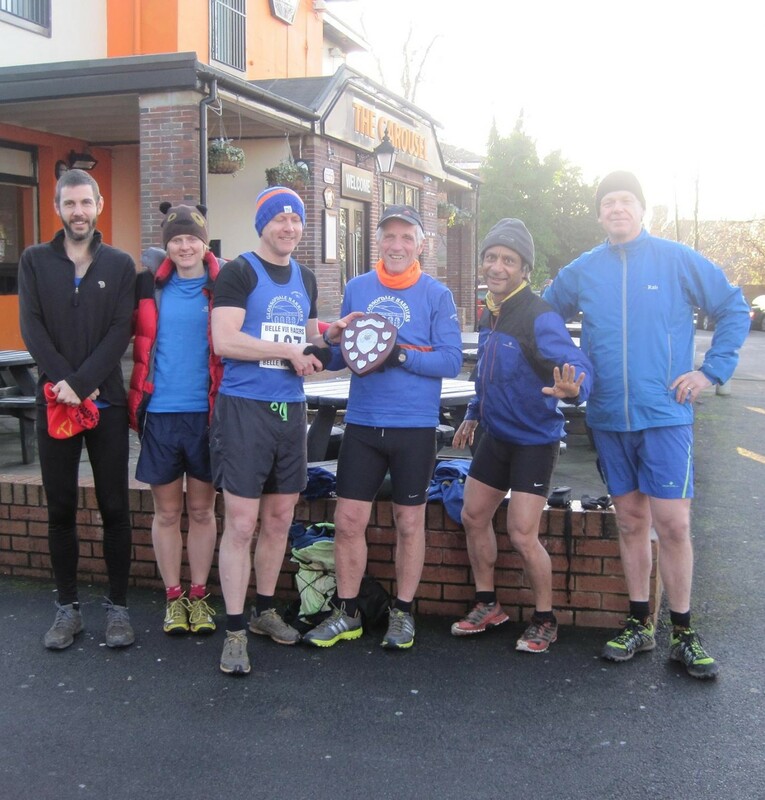 The Age-Graded trophy will be awarded to the runner with the best 6 scores from the Road/Trail Champs races. Points will be awarded 30 downwards as normal for each race but this time based on the age-grade % scores. Best 6 scores to count from the 11 races. Age at 1st January 2016 will be used for calculations except for Glossop Parkrun where the already generated %s will apply.